Fabasoft Folio Cloud wins IT Innovation Prize 2012. 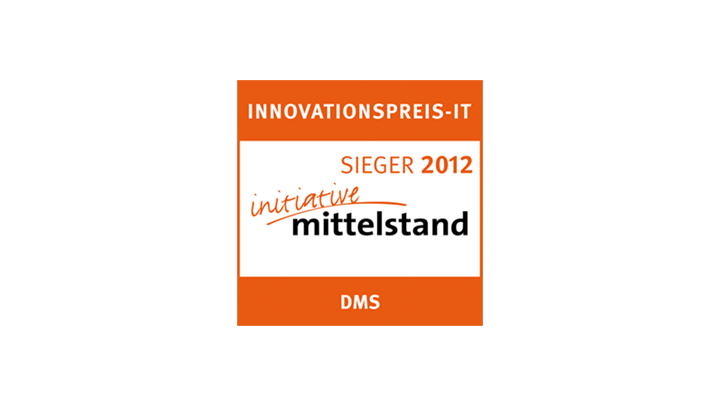 Fabasoft Folio Cloud was crowned winner at the "INNOVATIONSPREIS-IT 2012" in the category "DMS / Data Management System" with the mobile solution "Folio Cloud: Management Head-start in the Cloud". Folio Cloud was selected from over 2,500 submissions for the first prize by a renowned independent jury. The focus of the INNOVATIONSPREIS-IT is to acknowledge products and services that provide a , particularly high benefit and functionality for small and medium sized companies. The award ceremony was conducted as part of the CeBIT in front of 300 spectators at the IBM main booth.